Fact or fiction, what’s the borough’s favourite? 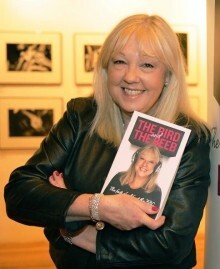 Rochdale Borough Libraries is asking residents to nominate their favourite book of the last 40 years to mark the 40th Anniversary of Rochdale borough. 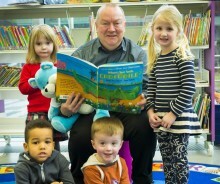 A special half-term story time session will take place at Rochdale Central Library on Tuesday, February 18, based around the theme of families. 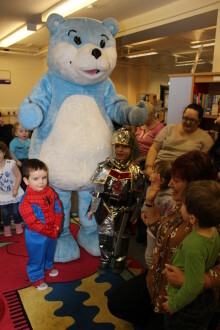 Children at Middleton Library were treated to a visit from a very special guest to help encourage them to love books and start a new chapter in their love of reading. If you think being read a story is just for children then it’s time to rethink during National Storytelling Week from 1-8 February. 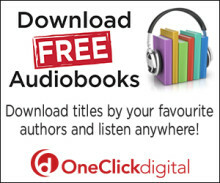 Bookworms on the go of any age can now download hundreds of digital audiobooks at the click of a button via a new free service being offered by Rochdale Borough Libraries. 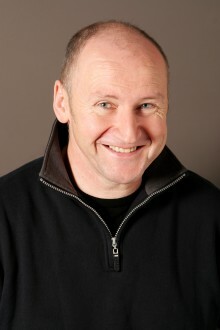 Budding novella writers are being ink-couraged to sign up for a workshop with creative writing expert and published author Robert Graham organised by Rochdale Borough Libraries. 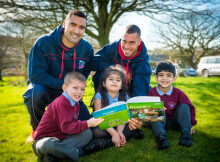 Celebrate the 14th National Storytelling Week (1 – 8 February) with Rochdale Borough Libraries and Bookstart Bear to help start a new chapter in your child’s lifelong love of reading.